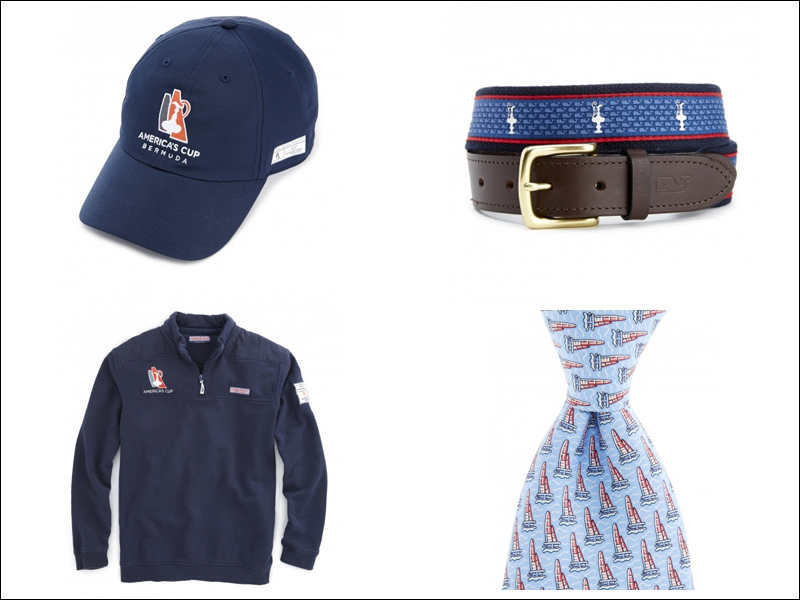 Brothers Shep and Ian Murray, chief executive officers and co-founders of Vineyard Vines®, announced today [Oct 15] the company has partnered with the 35th America’s Cup to become the official style of the series through a collection of apparel and accessories. The initial capsule will debut this fall and kicks off a larger collection that will debut in Summer 2016. Spanning Shep shirts, polos, ties, t-shirts, belts, and hats, the capsule will launch at the America’s Cup World Series in Bermuda, running October 16-18, and will be sold online exclusively at www.vineyardvines.com at that time. Price points will range from $36.50 to $125. The upcoming October event in Bermuda will also mark Vineyard Vines’ first on-site event activation in partnership with the America’s Cup. In Summer 2016, the full Vineyard Vines + America’s Cup product line, including men’s, women’s and children’s apparel and accessories, will launch and be sold throughout the duration of the Louis Vuitton America’s Cup World Series schedule and 35th America’s Cup in 2017. How much?? ?…priced out of the reach of the average person in the street even by Bermuda pricing! Here’s a thought for you Trash Man: don’t buy anything.